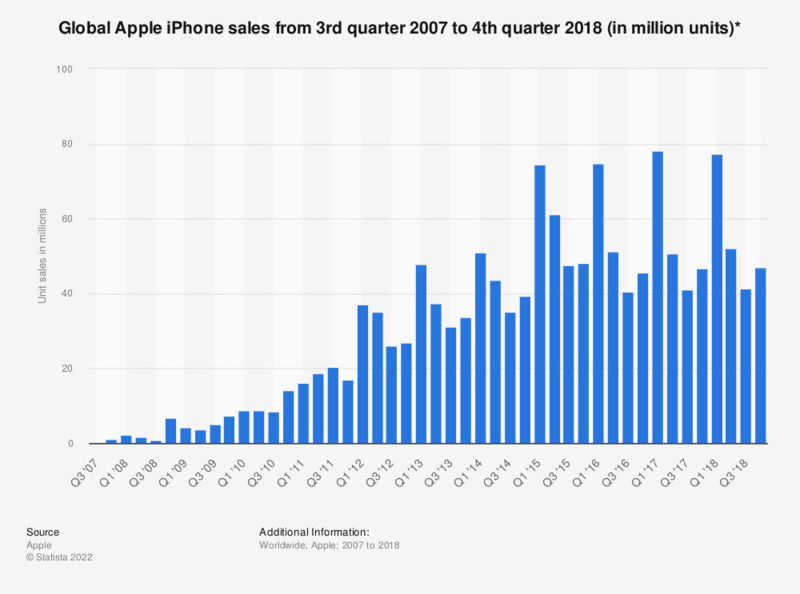 Over the last fifteen years, brisk sales of iPods and then iPhones once predictably surged in a winter quarter Christmas wave that then ebbed during the March quarter. Since 2011, however, China has emerged as a counterbalance with its own massive holiday season: Lunar New Year. With a rapidly emerging, vast middle class that is hungry for prestigious and fashionable products, China has already caught up with the United States in terms of Apple's shipment volumes, and promises to exceed American demand as it continues to grow. Despite lots of focus on Xiaomi, Apple is selling increasing numbers of iPhones in China. Conversely, Microsoft and Google are finding it difficult to do any business inside the country, an their potential opportunities are rapidly being crowded out. In Google's case, it's losing in China largely because of Android's openness, rather than being assisted by its broad adoption as planned. According to a new report by Canalys Apple's iPhone 6 and 6 Plus have propelled the company to the top of the smartphone sales charts in China, besting Samsung and every domestic Chinese phone maker in the fourth quarter of 2014. The supply constrained quarter indicates that iPhone sales will continue to surge into the March quarter. China's impact on Apple's seasonality is evident when reviewing the historical shift in sales cycle of iPods and then iPhones and iPads, and will also increasingly play a part in shifting Apple's seasonal numbers going forward, erasing the spring "quiet period" that has given Apple's competitors a safe season to launch their own products. It's also important to consider Apple's overall revenue rather than just shipment numbers under each product category. Sales of Macs, for example, are more valuable than sales of iPads. Additionally, higher end sales of iOS devices (apparent in higher Average Selling Prices) are also better than quantity sales of different devices. For example, a single sale of a high end iPhone 6 Plus delivers the same revenue and even greater profit than the sale of an entry level iPhone, iPad and iPod put together, even though it only counts as one "shipment." Between 2001-2006, Apple's winter quarter iPod sales consistently peaked at triple the sales of previous quarters in the year. Even more impressively, after hitting a new unit peak of iPod sales each winter, Apple's subsequent March quarter would maintain that volume of sales and each successive quarter would keep rolling in at that new baseline, only to roughly triple again in for a new December quarter peak. This kind of exponential growth is difficult to maintain, similar to folding a piece of paper again and again (you simply can't fold it more than 8 times). Incredibly, Apple was hyper-folding (initial nearly tripling) its peak iPod sales every year for five years: 2002 reached 0.2M, then 0.7M in 2003, 4.5M in 2004, 14.5M in 2005 and 21.1M in 2006. In the winter of 2007, peak iPod sales remained roughy flat at 22M, largely because Apple had introduced a new hit that was "its best iPod," the new iPhone. It sold 2.3 million that winter. While iPod growth had stopped, it didn't matter because iPhones were now also iPods, and contributing even greater revenues, profits and opportunities (particularly App Store sales). iPhone also launched a new seasonal cycle, because between 2007 and 2010, Apple introduced new models in the summer. That created a fiscal Q4 (September quarter) spike. Sales surged to 6.9 million in 2008, 7.3M in 2009 and 14.1M in 2010. Cyclical sales of iPhones, reinforced by the biennial span of service contracts, also created nadir sales troughs (or at least flat unit shipments) in between. This regularly sparked pundit commentary that proclaimed iPhone sales were in serious trouble because the numbers weren't consistently rising in each consecutive quarter--an observation that ignored reality to instead identify some bit of potential doom, fears that failed to ever materialize. That pattern was disrupted in 2011 when Apple ended exclusivity with AT&T by expanding iPhone 4 support to Verizon Wireless in the spring, creating an secondary wave of buyers and upgrades as Apple virtually doubled its potential U.S. audience. Rather than leveling off after its initial launch quarter as it had in previous years, iPhone sales inched up and stayed up across 2011. However, Apple then moved its iPhone 4S launch from the summer to the fall, effectively replacing iPod as its holiday focus. That year, Apple didn't even launch new iPods. That created a pre-holiday lull but a turned Christmas 2011 into a blockbuster quarter where iPhone sales doubled (sequentially and year-over-year) to 37M. That surge wave maintained into the FQ2 March quarter (35M) before falling back down in the summer (to levels still well above the previous year). In 2012 the winter iPhone surge wave was exaggerated by Apple's simultaneous launch in mainland China with iPhone 5, reaching sales of 47.8M, replicating the 2011 "lull" in sales that still maintained record numbers in each quarter. In 2013, the seasonal cycle appeared to play out nearly identically, except for the fact that Apple's next big expansion launch--China Mobile--wasn't formalized until December, initiating--similar to the 2011 Verizon launch--a delayed March quarter upgrade cycle for a new batch of subscribers on the world's largest mobile carrier. However, it wasn't just China Mobile that was delayed; Apple's entire Chinese launch last year didn't occur during the winter (western) holiday quarter. That makes it doubly impressive that, even subtracting what is now its largest market from the December quarter, Apple could still hit a new peak sales record in the winter quarter. Additionally, the traditional gift giving season related to the Chinese observation of Lunar New Year (which occurs in the March quarter) began to buoy sales in China after Christmas ended in the West. In 2014 (for which winter quarter numbers haven't yet been released; they come out later today) an historical cycle appears to continue playing out where sales will surge for the winter quarter and then continue high into the March quarter. This year however, Apple not only launched in China early, but also launched iPhone 6 and 6 Plus, a wildly popular upgrade that has been doing particularly well in Asia, where an affinity for large screens is driven in part by the nature of the region's glyphs that are commonly input with touch gestures rather than tapping on a compact QWERTY keyboard. The December quarter (Apple's Fiscal Q1 2015) will clearly hit an all time peak. However, the typically slower season of the March quarter will also be filled out out by the increasingly important Chinese New Year and the cycle of upgrades that are being driven now that China Mobile has completed a year of its new 4G build out. Apple has only begun to enter China, and is rapidly investing in a retail expansion that is opening five new stores in China in the first two months of 2015, in time to capitalize upon Lunar New Year with a total of 20 stores in Greater China (four of which are in Hong Kong). While China is now buying as many iPhones as the U.S., its 20 retail stores that will be open next month are dwarfed by the 265 Apple now has open in America. Apple Watch won't launch in time for this year's Lunar New Year, but it will benefit from the 20 retail stores Apple will have open when it does launch later this spring. China isn't the only market with lots of growth opportunities. Apple has only one store in all of South America, and no retail stores in Africa or the Middle East (apart from two in Istanbul, Turkey), and none in Russia or any of the former USSR satellites of Eastern Europe or in Austria. It also has no stores in Asia outside of Japan and Greater China (nothing in Taiwan, South Korea, Singapore or all of Indonesia). Another notable area for Apple's future expansion potential is in India. The nation has nearly as many inhabitants as China, although far fewer affluent buyers and a much smaller middle class that isn't growing at the spectacularly rapid pace of China. Perfect storm, as usual. Dominate is the word that best applies to Apple anymore. Giving an iPhone to someone as a gift is only appropriate if the person already has a high end smartphone with a data plan. Otherwise you are giving them a gift that they have to pay for a service plan to use and it may not be the color or the capacity they would have wanted either. In the US it is easy to return Christmas gifts, but I wonder if it is just as seamless in China. I think mostly in China they traditionally give money and then the person can go buy whatever they want, which might be an iPhone. It was smart for Apple to not have tried to sell the iPhone 4 or 4S in China. Might not have gone over very well. Giving an iPhone to someone as a gift is only appropriate if the person already has a high end smartphone with a data plan. Otherwise you are giving them a gift that they have to pay for a service plan to use and it may not be the color or the capacity they would have wanted either. In the US it is easy to return Christmas gifts, but I wonder if it is just as seamless in China. I think mostly in China they give money and then the person can go buy whatever they want, which might be an iPhone. I would imagine most of these "gifts" are spouses/family gifting each other. You can also take the person to the store. Except they are much more traditional where the giving is done with everyone present starting with the eldest person receiving their gift first, which is then set aside and opened later in private. Then you have very poor understanding of the mobile phone markets in Asia. The monthly plans are much cheaper. My friends in Thailand and Hong Kong can get plans for as little as $30 / month. Some also cheap out and go with voice-only for $5 / month, relying on free wifi in for data (very popular in big cities). It's much more popular in that corner of the world to buy the phone outright (unlike the subsidy-loving America). And Apple products are also very popular as "gifts" to officials. Their Chinese New Year is like our Christmas. In about 20 years it will be common knowledge that the great Chinese businessman and inventor Xi Chow created Apple in 1977 for the benefit of the Chinese people and to celebrate the glory and superiority of China's computer revolution. The living Apple CEO will bow deeply in appreciation. More brainless nonsense in a serious forum. Go play somewhere else! You took the joke seriously? Humor doesn't always translate well... Next time, try to imagine the "/s".